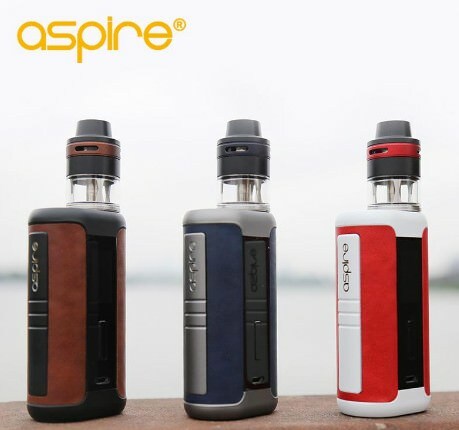 The Aspire Speeder Revvo Kit is a new high powered vaping device after the original Speeder. The brand-new Revvo tank comes with Aspire Radar coil(ARC), where the coil itself horizontally in the tank for great flavor and vapor production. The tank adopts fully adjustable top airflow and extremely easy top fill design. And the Speeder 200W box MOD is in luxurious leather finishes, which brings comfortable hand-feel. Its various working modes will satisfy different needs. 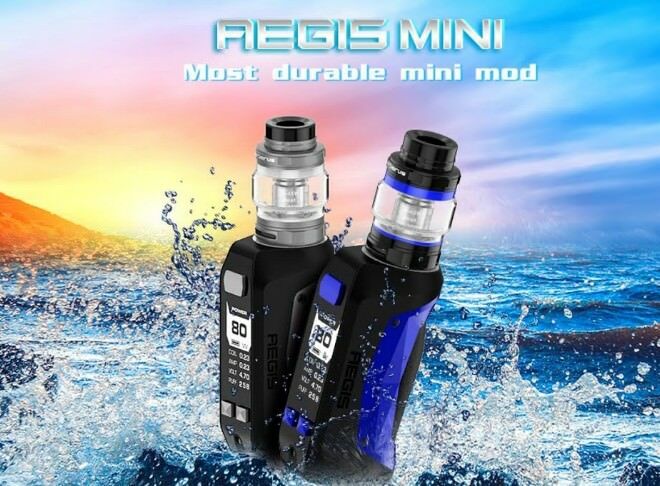 Geekvape Aegis Mini kit is a lightweight and durable kit which has extreme water, shock and dust protection. Constructed by alloy, leather and SLI silicon, the Aegis Mini mod is durable and ergonomic. Powered by a built-in 2200mAh battery with the Advanced AS chipset, it can fire up from 5W to 80W maximum output and fire extremely fast, accurate. This vape kit supports temperature control for Stainless Steel, Nickel 200 and Titanium. As for the included Cerberus sub ohm tank, this tank is optimized by the ultimate Super Mesh coil that maximizes heating contact surface area in order to provide maximum flavor and large vapor production. By the way, the Super Mesh coil is compatible with Aero Mesh tank. Moreover, the tank also features quick access refilling system, which will bring you an easy and convenient vape experience. 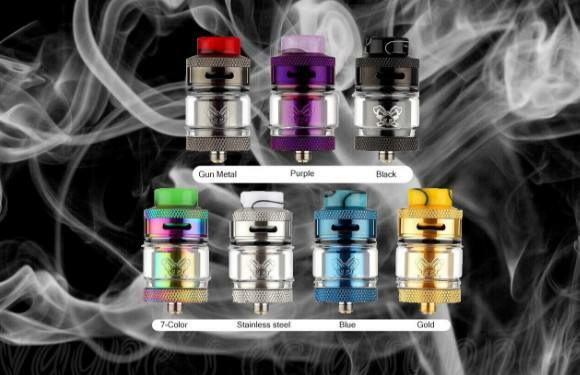 Hellvape Dead Rabbit RTA is a tank atomizer designed by Vapin’ Heathen, who is a vape enthusiast, vape reviewer and designer of Dead Rabbit RDAs. This RTA will be the king of dual coil RTAs, bringing you unprecedented vaping experience. With the unique “Rabbit Ear” design, it has ample build space and generous post holes for easy building dual coil or single coil. Slide in top coil deck takes the guesswork out of pre-cutting your coil leads. The RTA also comes with adjustable top side diagonal airflow which keeps the excellent flavor and minimizes leaking. This RTA can hold 2ml e-liquid and also can be extended to 4.5ml via extra glass tube. Featuring top airflow and excellent wicking, it has no any dry hits or leaking problems, and the colorful resin 810 drip tip and the Dead Rabbit’s logo make this RTA more attractive. 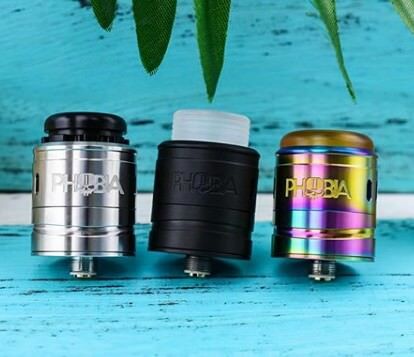 Vandy Vape Phobia V2 RDA comes with angled downward airflow holes which allow airflow entering downward is concentrated to the coil build to produce a denser taste. The build deck supports single coil or dual coil build. The RDA features 8.8mm deep juice well tank, no leaking. 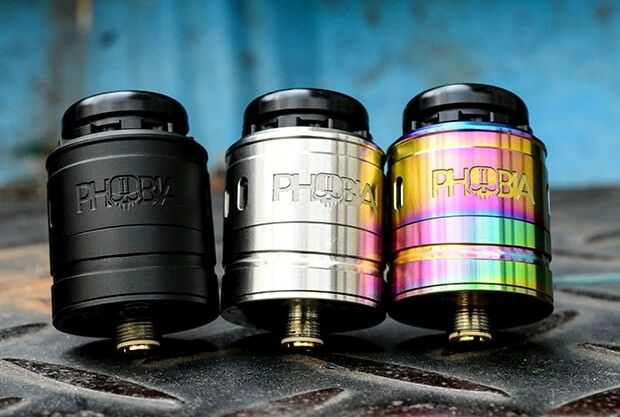 Three types of drip tip are compatible with the Phobia V2 RDA. 2018 Halloween Grand Sale is starting now! 25% Off for Wismec Active BT Music Kit; etc. Lost Vape Orion DNA GO 40W Pod Kit, etc. Time is limited, hurry up! News: Authentic Uwell Crown 6ML Sub-ohm Tank Atomizer is coming now! 2018 11.11 Global Shopping Festival is coming! Valid from 7th to 15th November. 1st, E-cigar Mysterious Boxes are for you, including $9.99, $29.99 & $49.99! Horizon Falcon Sub-Ohm Tank, price for $14.99! Uwell Nunchaku 80W Kit, price for $45.99! 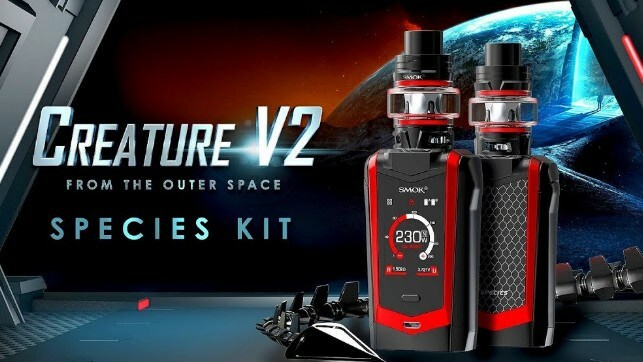 Smok E-Priv 230W 8ML Kit, price for $39.99, etc. Uwell Crown 4 5/6ML Sub-Ohm Tank, discounted price - $21.99! If you wanna enjoy more savings, please hurry up! 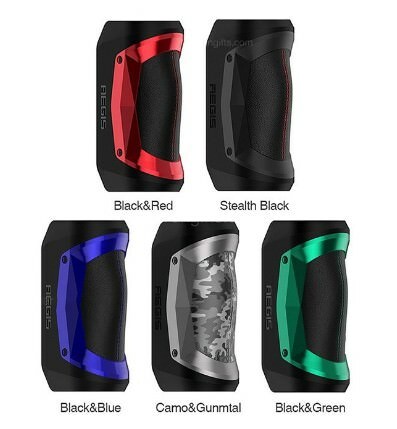 Vandy Vape Pulse X BF Squonker is designed by Vandy Vape & Tony B. It features colorful translucent panels with magnetic design, easy to replace. Pulse X BF Mod is powered by a single 18650/20700/21700 battery and supports 90W maximum output power. Black Friday & Cyber Monday Shopping Carnival is starting now! 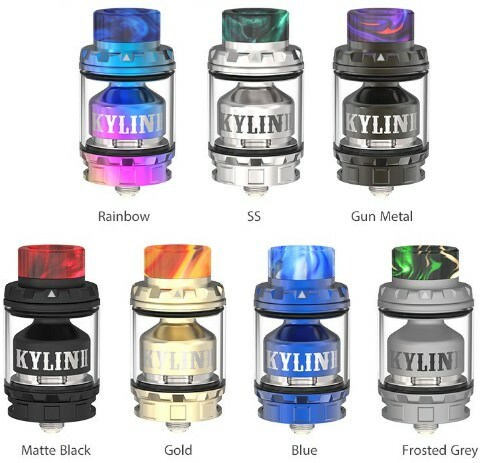 1st, Get free gift - if your order amount over $250, you can get a free uwell crown 4 Tank! 3rd, Black Friday Flash Sales - UP TO 65% OFF! 4th, Hot Sales - you can get more popular & price good items! This promotion ends on November 27th,2018. Only 7 days, hurry up! Smok TFV8 Baby, which size is 1/3 smaller than the Cloud Beast - TFV8, adopts new baby beast engines: V8 Baby-Q2 Dual Core, V8 Baby-T8 Octuple Core, V8 Baby-X4 Quad Core, V8 Baby RBA and more is coming. Meanwhile, its airflow system: the bottom pair air-slots, the air chamber, the drip tip, are re-designed after precise calculations and optimizations. All those efforts ensure that TFV8 Baby is another Cloud Beast - a Baby Beast. Geekvape Aegis Mini Battery Box is a lightweight and durable Mod which has extreme water, shock and dust protection. Constructed by alloy, leather and SLI silicon, it is durable and ergonomic. Powered by a built-in 2200mAh battery with the Advanced AS chipset, it can fire up from 5W to 80W maximum output and fire extremely fast, accurate. This mod supports temperature control for Stainless Steel, Nickel 200 and Titanium. The Aegis Mini which will bring you an easy and convenient vape experience. VOOPOO Drag 2 Starter Kit is upgraded version of Drag kit. With curve surface and round corners design, the Drag 2 offers a comfortable hand feeling to you. 8 kinds of colorful resin panels makes the drag 2 stand out from others. It equips with 32 bit US Gene Fun Chip from the world’s largest provider of eCig chips. The Drag 2 comes with innovative FIT mode to intelligently match and protect tanks from burnout. It is powered by dual 18650 batteries and support 177W max output. The mod equips with a crystal OLED display to show parameters of device such as mode, resistance, voltage and wattage. Paired with New Uforce T2 tank, the Drag 2 kit will provide better vaping experience. The tank utilizes new N3 mesh coil to achieve purer flavor and stronger clouds. 3rd, Sckill Deals - Low to $14.88! Vandy Vape Berserker V1.5 RTA features a 24mm diameter and 2.5ml e-juice capacity which comes with five different diameters airflow slots to bring simply possibility of a real cigarette tightening. Constructed by high-quality SS316L SS, the deck adopts a new design for single coil building. Also, it has an airflow slot which can make airflow hit the coil directly. The Berserker V1.5 MTL RTA features a convenient top filling design for easy refilling, big filling slot avoids leakage effectively. With hollow out drip tip which is great for heat dissipation. 2 appearances and 2 drip tips are available which make the Berserker V1.5 MTL RTA distinguished from others. The hollow out drip tip is great for heat dissipation. Price: from $44.99 ~ $58.99! 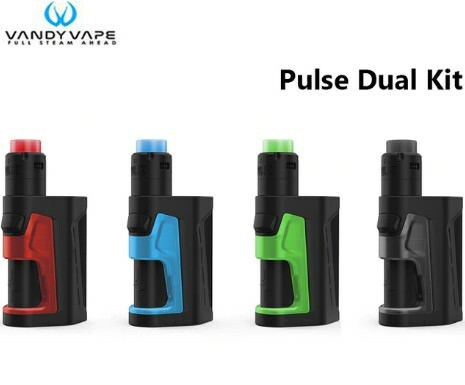 Vandy Vape Pulse Dual Kit is a new member of Pulse family. The Pulse Dual mod is the smallest dual battery squonk mod in the market at persent. It comes with ergonomic design, which sets the fire button and squonk bottle in the same side. It is easy to operate when you hold it in the hand. The Pulse Dual mod is equipped with upgraded Vandy Chip. It uses top-grade IC at an affordable cost to the consumer. It supports Power/Bypass/Voltage/TC mode to satisfy your various vaping needs. The mod also equips with a 7ml juice bottle. The Pulse V2 RDA is prefectly match with Pulse Dual mod. It includes three different airflow rings to support dual or single coil builds. The Pulse V2 RDA adopts an innovative floating deck, which supports top squonk feeding and bottom juice return design. Easy to build and avoid leakge.